Our branch in Chernovtsy NEW! Our branch in Kerch NEW! 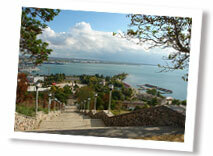 Our branch in Sevastopol NEW! Our branch in Sumy NEW! Our branch in Simferopol NEW! Our branch in Zaporozhye NEW! 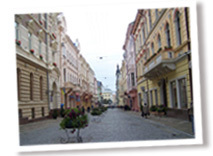 In this section we will show you round Kharkov. It has so many places of interest that it will be difficult to describe them all at once. But we will focus our attention on the most exciting and amusing of them. Though it's difficult to predict what can draw one's attention. And now we will boast a little: Kharkov was the first capital of Ukraine, because it's the second biggest city in our country, and it is the most comfortable too. 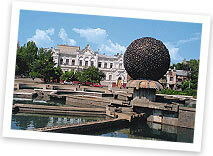 Kharkov - is the greenest city in Ukraine, there are a lot of parks and gardens. 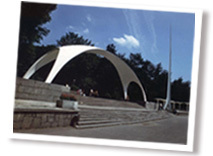 The Square of Freedom is the biggest square in Europe and the second - in the world. Our clients kept asking: "When will you expand?? When will there be new locations??" Well here we are. Now we have our new branch in the city of Zhitomir. This is now our fourth office. 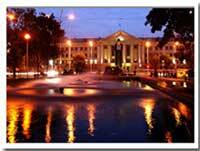 It is an ancient, beautiful, green city with a rich history and hospitable people. 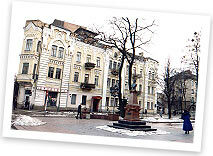 The city is situated not far from the capital of our country, the city of Kiev (it is just 1,5 hours drive). 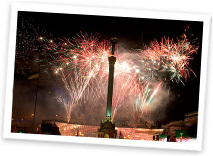 The geographical position of the city is very favorable, because you can easily and quickly get to any part of Ukraine from here. In this city you can find a lot of beautiful churches, buildings of historical value, interesting museums and green parks. And what live here! Have a look at the pictures and you'll see for yourself. We never add ladies to our site by joining forces with another existing agency. We open our own offices with our own employees. It permits us to assure the best quality of service and the most fantastic and honest ladies! Take a look and see why we are the best. 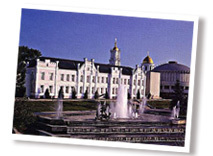 Kherson is one of the most "green" cities of Ukraine -on the territory of Kherson some urban parks are located: the Park of Lenin Comsomol, Lenin Park where the Great Oak of more than hundred years grows, and the Park of Glory which stretches above the Dniepro. 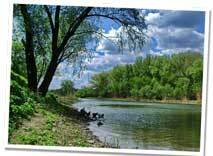 The Dniepro flows into the Black Sea than, but near Kherson it forms a pleasant recreation zone, the river is fringed with the unique nature of the South of Ukraine, with its unusual flora and fauna. 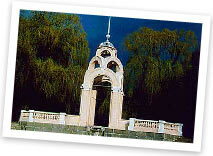 Our Dniepro gives us opportunity to keep the Hydropark in Kherson, where in summer thousands of people can have a rest. When you search in a big city your chances are sure to increase twice to find Your special one. Many interesting things could be said about Kiev women. They are not only beautiful, but they are also famous for their spiritual merits, for their tenderness and femininity, their family-oriented character and industriousness. They are excellent housewives, caring and devoted. Besides, ladies who lived in the capital since their childhood got used to a rapid, energetic way of life, so you will never get bored with them. The life in the capital usually make them to find a job, but it is not a problem because ukrainian girls are very industrious. Nikolaev Ladies are famous for the warmth and good nature? not only they are physically attractive, but also intelligent, charming and very family-oriented. They are fond of arts and reading. Southern blood makes them passionate!!! You will never feel bored in a company of a beautiful and humorous Nikolaev lady?In Nikolaev you can see very clearly how the city is taking full advantage of the tremendous and unique opportunities arising from the emergence of free market and the development of democracy. The investment boom is visible everywhere you look. The city has become one big construction and renovation site. 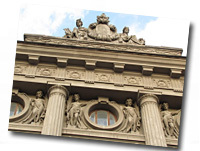 The commercial buildings commissioned in the recent years accommodate hundreds of business, banks and international organizations. 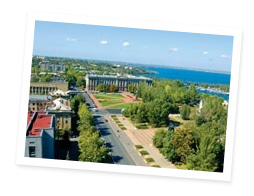 Scores of new ones are going up in Nikolaev, and the demand for high-class office space is still enormous. 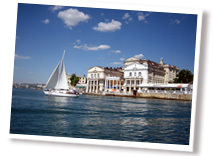 Each year sees the opening of new hypermarkets and shopping centers. Yet it is the city's people who are its real asset.